For the last few months, for a number of reasons, I’ve been mostly staying away from current airing anime and engrossed myself in kids cartoon. More specifically, the two, arguably is still, giant in the kids-and-monster genre, Digimon and Pokemon. It was then that I realize that I’m now quite familiar enough with the two franchise (it’s anime, specifically) to start comparing the in what they set to out to do. Make no mistake, despite sharing the whole kids befriending monster trope, the two series couldn’t be more different. They have different tones, priorities and goals when it comes to pitting monsters against each other. Which is why I apologize in advance if you’re coming in here expecting me to start comparing which series is better. This is more of a compare and contrast post in seeing what the two respective franchise is trying to set out to do (although you may find out about which aspect on either series that I like better). 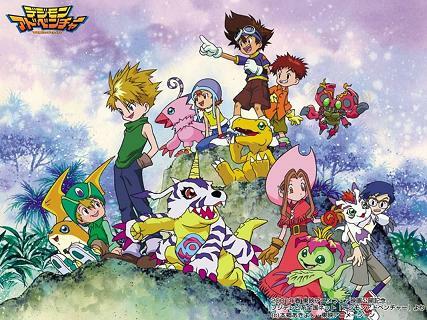 Just a few months ago, I’ve decided to rewatch the entirety of the original Digimon Adventure. On the whole it was….enjoyable but not exactly something I could recommend, at least not casually. It has highs, emotional resonance, engaging and also diverse main cast, and the love it receive from its fans are certainly understandable, but half the time its ranging from below average to solid but not remarkable. The entire production doesn’t help either. The background are nice, but the animation is often limited. The direction sometimes capable, sometimes its stale. One of the most engaging moment in the series are only when the episode focused on Digidestined internal struggle and with each other which……only came about halfway point of the show. But, I’m not here to review Adventure. With the second part of Digimon Tri just came out, I thought this will be a good time for me to personally list my favorite episodes of the show. Spoiler alert, obviously. Although, if any of you who wanted to get into the franchise wondering if several highlight would be worth an entire watch, this would be those. Also, when I said Digimon Adventure, I left out 02, because…..well, 02 isn’t particularly good. It has highlights, but on the whole it’s kind of a mess. Anyway, in no particular order, the list!